We have come to drag days: Festival! 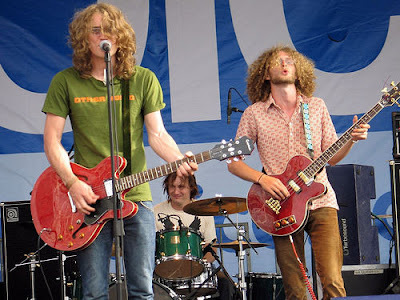 Gabe and James and I are goin to see Dungen tomorrow night! YAW! It's about time I saw some Swedish rawk. I'm listening to them as I post this. When I listen to this band, I imagine playing the drums. And I rock it. Hard.